Ji-Youn is a young Korean-Canadian woman living in Vancouver, Canada. Her family immigrated there when she was five. Ji told me, “I was the typical Asian-Canadian woman who wanted to go to med school.” But life had other plans. Ji calls them ‘givens’, not ‘gifts’. And after several difficult givens, Ji hit a really low point - workaholism, overcommitment, suicide attempts. So, Ji made the decision to drop out of college. After sharing her story online and realizing that what she experienced wasn’t an isolated incident, she decided she had to be the one to make a change. If I were to share what the next few years of her life looked in a synopsis, it’d go a little something like this: Ji took on the weight of the world and the responsibility to create big, systemic change // she launched The Tipping Point Mental Health Society // the theme of workaholism, overcommitment, and mental health overwhelm resurfaced for her in the entrepreneurial world // with her life at stake, Ji knew something had to change // Ji combined disciplined self-care with personal development and created a plan to change her life // she now helps others do the same. 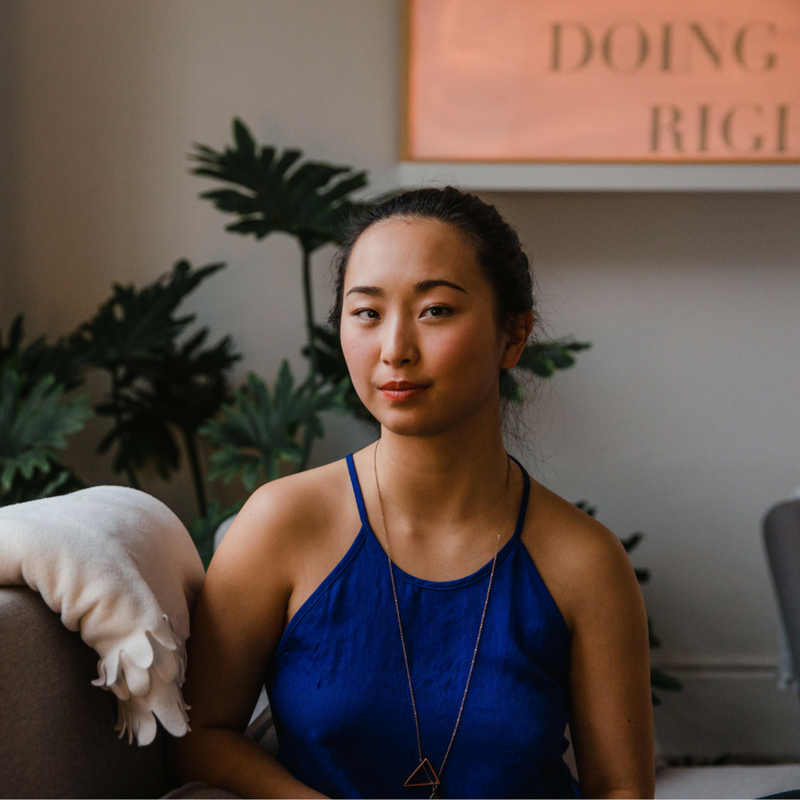 Ji-Youn is an emerging self-care & performance coach, helping ambitious people optimize their focus and energy through disciplined self-care. She sees well-being as a professional responsibility and is committed to setting a new standard for efficient, sustainable work by interlacing personal development with self-care. Ji-Youn is particularly fond of working with university students due to her personal experiences in academia, which led her to found The Tipping Point Mental Health Society. Outside of work, she is an amateur acroyogi, an avid reader, and sensuality enthusiast.